On 11 May, the European Commission has published the "Spring 2017 Economic Forecast". As reported in the official EU press-release the European economy has entered its fifth year of recovery, which is now reaching all EU Member States. This is expected to continue at a largely steady pace this year and next. In its Spring Forecast, the European Commission expects euro area GDP growth of 1.7% in 2017 and 1.8% in 2018 (1.6% and 1.8% in the Winter Forecast). GDP growth in the EU as a whole is expected to remain constant at 1.9% in both years (1.8% in both years in the Winter Forecast). The global economy gathered momentum late last year and early this year as growth in many advanced and emerging economies picked up simultaneously. Global growth (excluding the EU) is expected to strengthen to 3.7% this year and 3.9% in 2018 from 3.2% in 2016 (unchanged from the Winter Forecast) as the Chinese economy remains resilient in the near term and as recovering commodity prices help other emerging economies. The outlook for the US economy is largely unchanged compared to the winter. Overall, net exports are expected to be neutral for the euro area's GDP growth in 2017 and 2018. Inflation has risen significantly in recent months, mainly due to oil price increases. However, core inflation, which excludes volatile energy and unprocessed food prices, has remained relatively stable and substantially below its long-term average. Inflation in the euro area is forecast to rise from 0.2% in 2016 to 1.6% in 2017 before returning to 1.3% in 2018 as the effect of rising oil prices fades away. Private consumption, the main growth driver in recent years, expanded at its fastest pace in 10 years in 2016 but is set to moderate this year as inflation partly erodes gains in the purchasing power of households. As inflation is expected to ease next year, private consumption should pick up again slightly. Investment is expected to expand fairly steadily but remains hampered by the modest growth outlook and the need to continue deleveraging in some sectors. A number of factors support a gradual pick-up, such as rising capacity utilisation rates, corporate profitability and attractive financing conditions, also through the Investment Plan for Europe. Unemployment continues its downward trend, but it remains high in many countries. In the euro area, it is expected to fall to 9.4% in 2017 and 8.9% in 2018, its lowest level since the start of 2009. This is thanks to rising domestic demand, structural reforms and other government policies in certain countries which encourage robust job creation. The trend in the EU as a whole is expected to be similar, with unemployment forecast to fall to 8.0% in 2017 and 7.7% in 2018, the lowest since late 2008. Both the general government deficit-to-GDP ratio and the gross debt-to-GDP ratio are expected to fall in 2017 and 2018, in both the euro area and the EU. Lower interest payments and public sector wage moderation should ensure that deficits continue to decline, albeit at a slower pace than in recent years. In the euro area, the government deficit to-GDP ratio is forecast to decline from 1.5% of GDP in 2016 to 1.4% in 2017 and 1.3% in 2018, while in the EU the ratio is expected to fall from 1.7% in 2016 to 1.6% in 2017 and 1.5% in 2018. The debt-to-GDP ratio of the euro area is forecast to fall from 91.3% in 2016 to 90.3% in 2017 and 89.0% in 2018, while the ratio in the EU as a whole is forecast to fall from 85.1% in 2016 to 84.8% in 2017 and 83.6% in 2018. 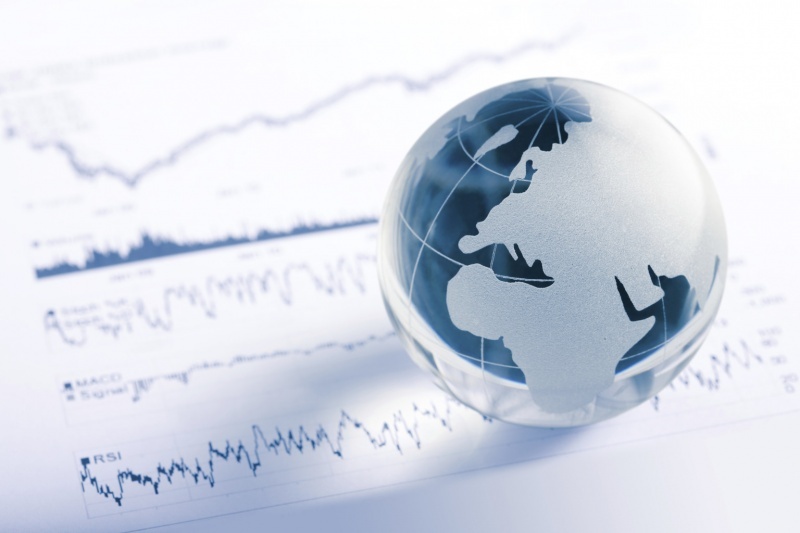 The uncertainty surrounding the economic outlook remains elevated. Overall, risks have become more balanced than in the winter but they remain tilted to the downside. External risks are linked, for instance, to future US economic and trade policy and broader geopolitical tensions. China's economic adjustment, the health of the banking sector in Europe and the upcoming negotiations with the UK on the country's exit from the EU are also considered as possible downside risks in the forecast. All documents are available in the official EU website.